Ease into evening elegance with the BLACKTIE. This statement clutch has a streamlined silhouette, yet the double gusset detail ensures it will accommodate your essentials. It is finished with a unique wraparound detail complete with our signature end caps. 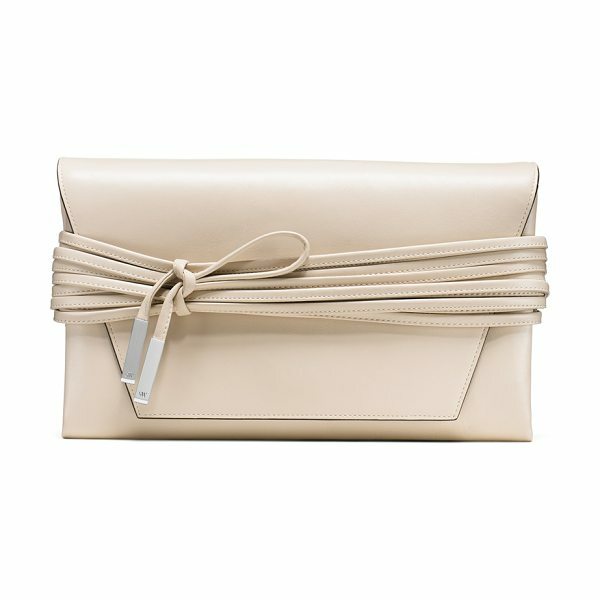 Carry this style as a clutch or shoulder bag with a button-through midi dress and menswear-inspired loafers.